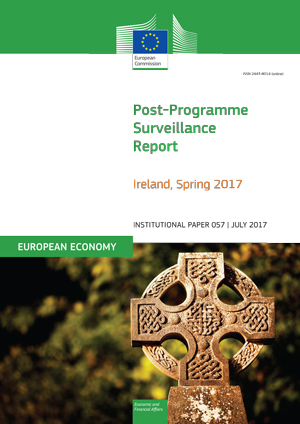 This report by the European Commission presents the findings of the seventh post-programme surveillance mission to Ireland and identifies remaining challenges for the Irish economy. Institutional Paper 057. July 2017. Brussels. PDF. 44pp. Tab. Graph. Bibliogr. Free. Information on Ireland's economic adjustment programme, post-programme surveillance and an overview of disbursements.